Guido Kuchelmeister is Coordinator of the TREE CITY Initiative, Illertissen, Germany. Contributions and management of urban forestry in an increasingly urbanized world. Urban dwellers are increasingly recognizing and articulating the importance of urban forests as a vital component of the urban landscape, infrastructure and quality of life. Municipalities together with diverse stakeholders around the world have launched often quite ambitious urban forestry programmes. Much progress has been achieved in urban forestry research and development in industrialized countries. However, multipurpose urban forestry in developing countries is still in its infancy. In addition, forestry work is conspicuously absent from urban development cooperation initiatives, despite the accelerated urbanization process taking place in developing countries. This article highlights the importance of urban trees and related vegetation in and around densely populated areas in both industrialized and developing countries. The focus is on implications of urbanization for development co-operation, benefits of urban forests, poverty alleviation, innovative public-private partnerships and multiresource management. Urbanization is a worldwide trend. In 1995 some 73 percent of Latin Americans lived in cities, making the region roughly as urbanized as Europe and North America. In Asia and Africa one- third of the total population was classified as urban. The new millennium will be an urban millennium. Urban areas in developing countries will account for nearly 90 percent of the projected world population increase of 2 700 million people between 1995 and 2030. By the year 2030, almost 85 percent of Latin Americans and 50 percent of all Africans and Asians will live in cities. The most explosive urban growth is expected in Africa and Asia. Asia will have the largest urban population in the world, with almost twice as many people living in cities as in Africa and Latin America combined (UN, 1998). Peri-urban areas have the highest growth rates and receive up to 70 percent of the migrants from rural areas as well as migrants from the city itself. These areas are in most ways integrated with the city, yet most forestry projects in peri-urban areas are designed as rural projects. If not integrated into urban planning, they are doomed to fail. As the bulk of the world's population shifts from rural to urban areas, poverty is becoming an increasingly urban phenomenon. The World Bank estimates that in 1988 approximately one-quarter of the developing world's absolute poor was living in urban areas and projects that by the year 2000 this proportion will increase to one-half (WRI, 1996). Within the next 20 years more poor people will live in the cities than in rural areas. Increasingly, the lives of urban slum dwellers, street children and those forced to drift between the city and its fringes will characterize the face of global poverty. Urban areas generate environmental problems felt at all levels from the household to the global. These problems range from impairment of human health, to economic and other welfare losses, to damage to the ecosystem. Air and water pollution and waste generation are among the key problems. Conversion of forests and farmland to urban development can also reduce water-permeable areas, upset natural drainage patterns and cause serious flooding. The urban poor bear the greatest burden of urban environmental risks because of the situations in which they are forced to live, whether in the sprawling unauthorized settlements of cities in the developing world or the blighted urban centres of Europe and North America. Urban areas in developing countries face problems related to the lack of safe water, inadequate waste management and pollution control, occupation and degradation of sensitive lands, flooding and soil erosion in unauthorized settlements. Above all, many resource-poor people are malnourished. Only multiresource urban forest management is feasible in poor neighbourhoods. For example, in Durban, South Africa, multifunctional parks are a component of slum improvement programmes; parks are used for storm water catchments and wastewater, sewage treatment, recreation and gardening (ICLEI, no date). Many urban foresters in industrialized countries use the terms "urban greening" and "urban forestry" interchangeably (e.g. Miller, 1997). The broadest definitions regard urban forests as the entire forest area influenced by the urban population. In a more restricted sense, urban forestry relates to trees and woodland in towns and cities: garden and farm trees, street and park trees, remaining woodlands and emerging woodlands on vacant and derelict land. In industrialized countries urban forestry has focused on amenities and environmental benefits (Miller, 1997; Nilsson and Randrup, 1997). In poorer countries the first role of urban forestry must be to assist in fulfilling basic necessities (Kuchelmeister and Braatz, 1993). This can best be achieved by multiple resource management. Urban forestry research has been advancing rapidly in North America through concerted actions and significant resource allocation. In Europe, despite a long tradition of urban forestry, research is still very fragmented. A current urban forestry research project will facilitate cooperation and coordination in Europe (Randrup, Forrest and Konijnendijk, 1999). In developing countries urban forestry is still in its infancy and is strongly oriented towards the style of industrialized countries (see e.g. Khosla, 1996, Tewari, 1995). The rapid urbanization of poverty and the environmental impacts of urban growth on poor communities are receiving unparalleled attention in current international debates on development. In this context urban greening is increasingly acknowledged as a development tool. Urban agriculture forums such as the Support Group on Urban Agriculture and the Global Initiative on Urban Agriculture take urban forestry into consideration, particularly in regard to agroforestry activities. Many urban development projects include an urban forestry component. Many cities implementing Agenda 21 locally (e.g. La Paz, Bolivia; São Paulo, Brazil; Teheran, Islamic Republic of Iran; Durban, South Africa; Kampala, Uganda; Zurich, Switzerland; Bombay, India; and Yoko-hama, Japan) have incorporated urban greening components. However, in current urban greening initiatives professional foresters still have a minor role. Nearly all major development cooperation agencies have restricted their forestry mandate to rural areas. Recent global policy processes such as the Intergovernmental Forum on Forests (IFF) and the World Bank Forest Policy Review have not yet identified urban forestry as a subject (Kuchelmeister, 1999a). FAO has a programme in urban forestry through which it supports member countries in information sharing, project identification and formulation and participatory development of municipal strategies and master plans for urban forestry. Among the donor agencies in urban greening, the Inter-American Development Bank has probably made the biggest effort (Kuchelmeister, 1998). 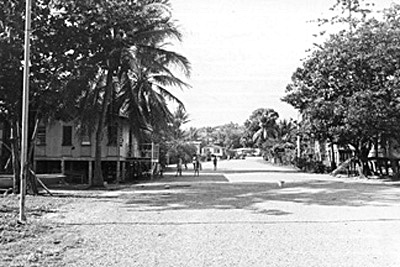 A few initiatives, such as the TREE CITY Initiative, focus on poor settlements in developing countries. Trees are an important part of the natural life support system, and they have a vital role in the sustainability of towns and cities. There is a growing recognition that urban forests improve the quality of urban life in many ways, providing both tangible (food, energy, timber, fodder) and less tangible benefits to meet local necessities. Multipurpose urban forestry is especially important for the urban poor (see Box on p. 50). Food. Food from trees in private agroforestry gardens or allocated plots in public gardens can contribute significantly to food security in developing countries (Kuchelmeister, 1999a). Low-care wild edible plants are often excellent candidates for multipurpose use as ornamental roadside plantings. Fuelwood. Woodfuel provides between 25 and 90 percent of urban household energy supplies; it is particularly important as a source of energy in smaller urban centres in developing countries, especially in dry zones (Kuchelmeister, 1998). Poor urban households spend a significant proportion of their cash income in obtaining wood energy. If the urban poor population continues to grow, an increase in the consumption of traded woodfuel is likely to be a consequence. Under favourable circumstances, fuelwood from non-rural forests and agroforestry systems can contribute significantly to fuelwood supply. Timber. Availability of an adequate timber supply is a problem for a growing number of households in developing countries. Principle sources of timber in urban areas are plantations, street trees, shelterbelts or windbreaks and greenbelts, parks and gardens. In many cities timber harvesting is combined with intensive outdoor recreation activities. Systematic planting of street trees for timber production is widely practised in China and Malaysia (Webb, 1998). Some cities in industrialized countries offset the costs of tree care through harvesting of trees. Microclimate and air quality improvement and carbon dioxide reduction. Urban trees can help improve the air quality by cooling and cleaning the air. Landscaping involving strategic tree planting can conserve energy and maintain comfort without air conditioning. Since urban trees reduce the need for burning fossil energy, they are a cost-efficient investment for mitigation of greenhouse effects. Planting of vegetation is increasingly utilized as an effective approach for reducing air pollution. This has been an objective of urban forestry projects in Kuala Lumpur, Malaysia and Manila, the Philippines, for example (Kuchel-meister, 1998). Trees mitigate pollution by reducing energy use, carbon dioxide emissions and ground-level ozone. Some urban forestry projects, in several cities in the United States for example, have been financed by carbon sequestration projects (Akbari et al., 1992; McPherson and Rowntree, 1993). Water use, reuse and conservation. Urban forests can help in the protection of urban water supply, wastewater treatment systems and storm water management. Most poor cities face significant wastewater treatment challenges and could integrate stabilization ponds into park systems and reuse wastewater for urban forestry. Reusing city wastewater not only recharges aquifers but also reduces the demand exerted on scarce water reserves. The greatest potential of wastewater reuse is in arid zones in developing countries (Braatz, 1994; Kuchelmeister, 1998). Protection of the suburban and rural areas that serve as the source of cities' water is a traditional urban forestry linkage, but to be successful such projects must be integrated into urban planning. Soil conservation. Trees and forests are a means of soil conservation, preventing landslides in fragile ecosystems with steep terrain, little vegetation and harsh seasonal rains, and thus protecting people's lives and homes. Bio-enginering is especially important in informal settlements in the tropics. Solid waste and land reclamation. Recycling of waste from urban trees reduces waste disposal and secures new raw materials (Webb, 1998). 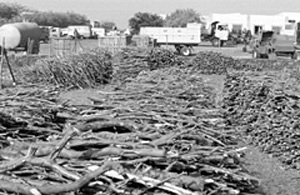 In poor cities most "waste" may be used as fuelwood, while in wealthier cities raw material such as mulch might be produced. Unused and degraded land and terminated landfill sites are increasingly being reclaimed through afforestation and converted to parks. Where land is contaminated, particularly with heavy metals, some trees are capable of absorbing the pollutants. Through repeated felling and removal of the timber, the level of contamination can gradually be reduced (Dickinson, 1996). Biodiversity. Green areas have a vital role in urban biodiversity. Suburban wetlands can be some of the most productive natural ecosystems and can provide important habitats for fauna. Incorporating green areas in networks will improve biological conservation and biodiversity; greenbelts and greenways (linear parks) can serve as biological corridors (IUCN, 1994). Health. Parks and green areas provide opportunities for healthy physical activity. In addition, the passive benefit to physical and mental health of an urban landscape with trees has been documented in industrialized countries (Ulrich, 1984); enjoyment of green areas may help people to relax or may give them fresh energy. Improving air quality through the planting of vegetation certainly has an impact on health, with such obvious benefits as decreased incidence of respiratory illnesses. Urban forests can also contribute to food security, as discussed above. Employment. Tree planting and especially urban agroforestry systems can be labour intensive and provide work opportunities which may be especially important in poorer cities. In wealthier countries the arboricultural industry is a significant business. Urban forests and green areas also provide opportunities for many kinds of formal and informal enterprise related to recreation. Education. Urban forests are increasingly appreciated in environmental education. A number of cities both in industrialized and developing countries have botanical gardens, zoos, nature trails and visitor information centres that can inform people about flora and fauna. Easily accessible trees and woodlands provide a vital facility for both formal and informal learning. Recreation. Urban forests greatly enhance outdoor recreation. Lowerincome residents tend to frequent city parks more than wealthier citizens do because they lack the financial means and leisure time to reach more distant recreation sites. To be useful to lowincome people, forests and green areas must be within an affordable travelling distance and must have the amenities that people desire. Community building and property value improvement. Public involvement with trees in towns can help strengthen neighbourhood communities by providing people with an opportunity to work together for the benefit of the local environment (NUFU, 1998). Studies have shown an increase in house prices where property is associated with urban trees, for example up to 5 percent in Hong Kong (Webb, 1998) and in the Finnish town of Salo (Tyrvainen, 1999) and up to 18 percent in the United States (Morales, Micha and Weber, 1983). In Singapore and Kuala Lumpur it has been recognized that a tree-rich urban landscape is an important attraction for new businesses and investors (Kuchelmeister, 1998). Many urban parks can only be preserved and managed through the commitment of residents and non-governmental organizations (NGOs). This has been demonstrated in cities as diverse as Delhi, India; Manila, the Philippines; Mexico City, Mexico; and New York, United States (Kuchelmeister, 1999b). In Yokohama, Japan, the city's Board of Parks and several citizens' associations operate an ecological park. Two types of associations are distinguished: specialists interested in a particular aspect of nature (e.g. bird-watchers) and generalists interested in social activities during their leisure time. Each association has a clearly defined responsibility in park maintenance (Kaneko and Nanbu, 1997). In Zurich, Switzerland, the municipal administration has encouraged citizens to take over the responsibility for specific urban green areas (J. Villiger, personal communication, 1999). In Bombay, India, a garbage dump with sprawling slums on one side and a polluted creek on the other was developed into a park for and with street children. The park is also used for environmental education (Pye-Smith, 1996). In São Paulo, Brazil, the One Million Trees project involved street children in tree watering, protection of trees against vandals and door-to-door educational campaigns. All the children received a uniform, tickets for free lunches, training and survival money (Kuchelmeister, 1999b). An NGO in Morocco, with assistance from the government, has mobilized women, schoolchildren, teachers and handicapped children in the planting of a million trees in Rabat and its surroundings to improve living conditions and combat desertification (UNCHS: Habitat/Together Foundation, 1998). In Sacramento, California, United States, concern about tree health in a situation of declining funds for municipal tree care has spawned new partnerships which have involved the Sacramento Tree Foundation, the Municipal Utility District and trained volunteers in Dutch elm disease control and residents in energy-conserving yard tree planting (McPherson and Luttinger, 1998). In many countries business owners care for street trees or sponsor tree planting in front of their stores in exchange for advertising on the tree protectors or attracting customers. In Chile some companies even fund and manage entire public parks (IDB, 1997). In São Paulo, Brazil, companies have been contracted to plant urban trees through public bids. The company that obtains the contract sells small advertising spots placed on the tree protector to finance tree planting and to make a profit. The only cost item for the government is contract inspection (Zulauf, 1996). City-to-city cooperation among international and national municipality associations and a broad range of NGOs is becoming a major component of development cooperation (Atkinson, 1999). Some of these partnerships include urban forestry. Some twin city arrangements include urban forestry activities. 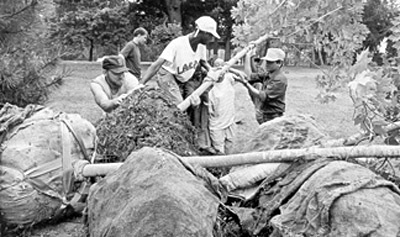 For instance, the Government of Singapore provided urban forestry assistance for Manila, the Philippines. Examples of North-South urban forestry cooperation include arrangements between Guelph, Canada and Jinja, Uganda and between León, Nicaragua and Utrecht, the Netherlands (Kuchelmeister, 1999b). Decentralization policies and urbanization have placed cities at the forefront of the global economy and have caused a shift in relationships between cities and federal governments. Municipalities will now manage many forests, as in Bolivia for example (Kaimowitz et al., 1997). The redistribution of responsibilities and the creation of partnerships between the different actors provide new challenges and opportunities for both rural and urban forestry projects. The municipal government of Puerto Princesa, the Philippines decentralized certain forestry responsibilities to village-level bodies for effective administration and implementation of schemes. Encouraged by the success of the political leadership of Puerto Princesa in preserving its rich natural resources, the national government turned over the management of the world-renowned Saint Paul Subterranean River National Park, together with the Irawan Watershed, to the Puerto Princesa city government (Kuchel-meister, 1998). Accelerated urbanization is taking place in developing countries. As cities expand physically, the frontiers between urban, peri-urban and rural activities blur and the different domains merge. Decentralization policies and urbanization place cities at the forefront of the global economy and have caused a shift in relationships between cities and federal governments. In the urban millennium the needs and influence of urban societies will dramatically change the priorities in forestry research and development. Urban forestry is a modern approach to urban tree management, encompassing long-term planning, professional coordination and local participation. Research and development is dominated and strongly influenced by industrialized countries, especially the United States. More concerted actions are required to develop appropriate multipurpose forestry in developing countries. In the urban millennium forestry professionals will need a greater balance between urban and traditional training and will require skills for working with land developers, home builders, municipal government, planning boards and the urban poor. Urban forests are economic assets. When they are properly designed and managed, their overall benefits are such that they are increasingly regarded as a vital component of the urban infrastructure essential in maintaining a livable and sustainable environment. The need for a dramatic increase in urban forests coupled with a lack of sufficient public funds suggests that private funding will be the most essential component of financing. A creative mix of public and private funds from national, municipal and private sources is increasingly used for urban forestry programmes. - financing urban forests through carbon sequestration projects. Within the next 20 years, more poor people will live in the cities than in rural areas. To develop and sustain urban forests in poor neighbourhoods, the initial focus must be on meeting immediate needs for basic necessities. This can be best achieved by multiple resource use. The development cooperation community is therefore encouraged to extend its attention to the forestry sector significantly beyond rural areas. Urban forestry is no longer an exclusive domain of the public sector. Diverse innovative public-private partnerships, as evolving around the world, demonstrate this new urban forestry concept in action. Financing of urban forestry programmes must come from a creative mix of public and private sources. Akbari, H., Davis, S.E., Dorsano, S., Huang, Y.H. & Winnett, S., eds. 1992. Cooling our communities: a guidebook on tree planting and light-colored surfacing. Lawrence Berkeley Laboratory Report LBL-31587. Washington, DC, USA, United States Environmental Protection Agency, Office of Policy, Planning, and Evaluation. Atkinson, A. 1999. Cities and desertification: from definition to action. Paper presented to the World Forum of Mayors on Cities and Desertification, Bonn, Germany, 11-12 June. Braatz, S. 1994. Urban forestry in developing countries: status and issues. In C. Kollin, J. Mahon & L. Frame, eds. Growing greener communities. Proceedings of the sixth National Urban Forest Conference, Minneapolis, Minnesota, USA, 14-18 September 1993, p. 85-88. Washington, DC, USA, American Forests. Dickinson, N.M. 1996. Metal resistance of some trees. In I. Glimmersveen, ed. Heavy metals and trees, p. 85-92, 177-178. Edinburgh, UK, Institute of Chartered Foresters (ICF). ICLEI. No date. Multi-functional park design and management, Durban, South Africa. International Council for Local Environmental Initiatives Case Study No. 27. Toronto, Canada. IDB. 1997. Good practices for urban greening. Env-109. Washington, DC, Inter-American Development Bank. IUCN. 1994. Putting plans into action. Report of Metropolitan Open Space Systems (MOSS) International Conference, Durban, South Africa, 9-11 February. Kaimowitz, D., Vallejos, C., Pacheco, P. & López, R. 1997. Municipal governments and forest management in lowland Bolivia. Bogor, Indonesia, CIFOR. Khosla, P.K., ed. 1996. Ecofriendly trees for urban beautification. Solan, India, Indian Society of Tree Scientists. Kuchelmeister, G. 1999a. Urbanization in developing countries - time for action for national forest programs and international development cooperation for the urban millennium. Forest Policy Research Forum: The Role of National Forest Programs to Ensure Sustainable Forest Management, 14-17 June 1999, Joensuu, Finland. Kuchelmeister, G. & Braatz, S. 1993. Urban forestry revisited. Unasylva, 173: 3-12. McPherson, E.G. & Luttinger, N. 1998. From nature to nurture. The history of Sacramento's urban forest. Journal of Arboriculture, 24(2): 72-88. McPherson, E.G. & Rowntree, R. 1993. Energy conservation potential of urban tree planting. Journal of Arboriculture, 19(6): 321-331. Miller, R. 1997. Urban forestry: planning and management of green space. Upper Saddle River, New Jersey, Prentice Hall. Morales, D.J., Micha, F.R. & Weber, R.C. 1983. Two methods of evaluating trees on residential sites. Journal of Arboriculture, 9(1): 21-24. NUFU. 1998. Trees matter. The benefits of trees & woods in towns. London, National Urban Forest Unit. Pye-Smith, C. 1996. Building green islands in Bombay. People & the Planet 1996, Volume 8.4, November 1996 (www. ourplanet.com/txtversn/84/smit.html). Randrup, T.B., Forrest, M. & Konijnendijk, C.C., eds. 1999. Urban forestry - research and development in Europe. Brussels, Belgium, European Union, COST-Programme. Tewari, D.N. 1995. Forests, gardens, parks and urban environment. Dehra Dun, India, International Book Distributors. Tyrvainen, L. 1999. Monetary valuation of urban forest amenities in Finland. Doctoral dissertation. Research Paper No. 739. Vantaa, Finland, Finnish Forest Research Institute. Ulrich, R.S. 1984. View through a window may influence recovery from surgery. Science, 224: 420-421. UN. 1998. World urbanization prospects: the 1996 revision. New York. UNCHS: Habitat/Together Foundation. 1998. One woman, two trees: planting trees for improving living conditions. Best practices databank. Internet: www. bestpractices.org/. WRI. 1996. World Resources 1996. Washington, DC, World Resources Institute. Zulauf, W. 1996. Legal, institutional and operation structure of urban green-area systems. Paper presented at Urban Greening Seminar, Mexico City, Mexico, 2-4 December 1996.